We’ve heard this month, that the Oxford Research Group, in a report, titled ‘The hostile use of drones by non-state actors against British targets’, wants the UK government to both fund the development of military-style lasers to shoot drones down and the creation of jamming and early-warning systems to be used by police. After reviewing over 200 commercial drones, it concluded the technology only poses a threat if a terrorist group builds a completely new drone from scratch. This is I believe, a dangerously naive and complacent view of a new danger and I’ll explain why. A flurry of new models and giant strides in lithium battery technology, has taken the equivalent of a first Wright Brothers of 1903 moment for the drone industry and fast-forwarded the technology to the equivalent of 1914 and the outbreak of WW1. For the Wright Brothers, building a light-enough engine to allow their aircraft to achieve powered flight was their greatest challenge. The commercial drone industry has solved this problem in months rather than years and an average flight time of 20 minutes in 2015 will likely stretch to 40 minutes with smaller and more powerful batteries by the end of this year. From a security perspective, what does this acceleration in the technology mean and what are the risk implications if any? We can of course expect, larger, faster and more powerful commercial drones with much longer battery lives, greater intelligence and greater range. Already, on my own DJI Phantom 3 Professional, the intelligent software that controls it, is being updated every six weeks or so; adding more powerful and automated control and navigation features that can be easily controlled from my Apple iPad or iPhone. While top-of-the range drones, could in principle, be used to carry small improvised and precisely GPS targeted explosive devices (IED) very easily indeed, it’s more likely that terrorists and criminals might use them for other purposes and the security services are having to use lateral thinking to keep up with the ideas some of the terrorists might arrive at. For example, putting a major airport out of action might be achieved easily. 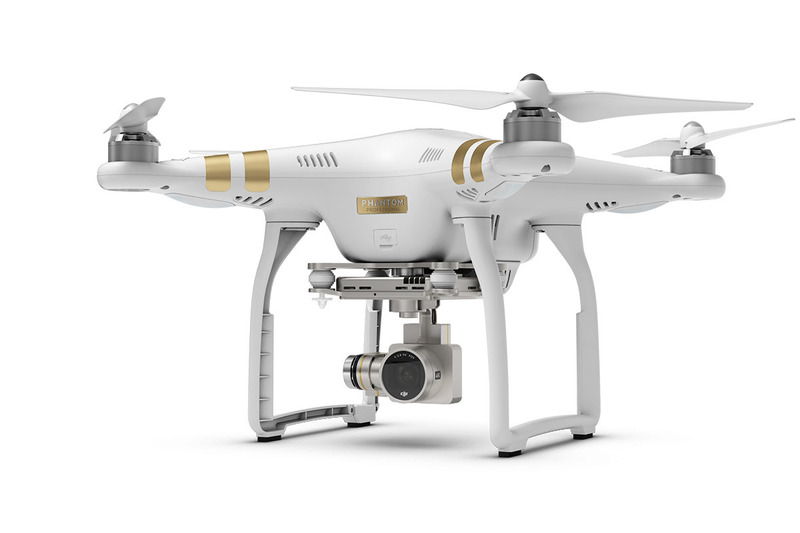 I won’t go into detail but all that’s required is one large drone ($2,000) and some easily bought mail order related equipment. All traffic could be halted without even causing an explosion. To prevent this type of scenario drone manufactures have started building ‘GPS fencing’ into their aircraft software to prevent a drone taking-off anywhere near an airport. But this kind of measure can be ‘spoofed’ by GPS jammers. These jammers are becoming more powerful and are widely available online. The cybercrime book, ‘Future Crimes’, refers to an example in mid-2013 when an $80 million yacht was hijacked by spoofing GPS signals. In another example, here in the UK., an organized crime group successfully used GPS jammers to steal more than forty large tractor trailers containing cargo worth in excess of $10 million. A large commercial drone could easily carry a GPS jammer and land on a vessel entering a port. The equipment could then be used to possibly interfere with a ship’s navigation computer. But a large impact doesn’t always require a large payload or a powerful explosive. As a young man, at the height of the Cold War I researched the deadly chemical agents, Tabun, Sarin and Soman. It’s these G-Series nerve agents which offered Tony Blair a pretext for the invasion of Iraq and which our security services fear may now be under the control of the Daesh, Islamic State. Any number of existing drones could carry enough nerve agent to cause mass casualties. It doesn’t take much. In the 1995 Tokyo subway sarin attack; 1.3 liters of Sarin was used. It killed 12 people, severely injuring 50 and causing temporary vision problems for nearly 1,000 others. Although this was originally planned as an aerosol attack, it wasn’t possible with the tools available to the terrorists at the time. As a consequence, countless lives were saved. Finally, drones can be used by both terrorists and criminals for situational awareness. Coming soon are drones carrying infra-red cameras to help law-enforcement, rescue services and others who might wish to see in the dark. The Mumbai attacks of 2008, which lasted over four days, demonstrated how terrorists could use mobile and social media technologies to coordinate their attacks. A drone hovering high above an incident could offer valuable situational awareness during a siege or hostage situation. With such examples in mind, dismissing drones as a ‘menace that doesn’t exist’ may be premature. Science fiction writers such as William Gibson, the novelist who gave us the expression, ‘Cyberspace.’ have already anticipated the direction drones are likely to take. The Los Zetas drug cartel in Mexico is reportedly becoming more imaginative with each incremental improvement in the technology. Drones are going to change the commercial landscape as dramatically as aircraft once did in the 1930s but in an increasingly dangerous and uncertain world, governments have no clear answers to the very real risks they will bring with them too.